Planning a large event? Consider incorporating recycling into your event waste management strategy! 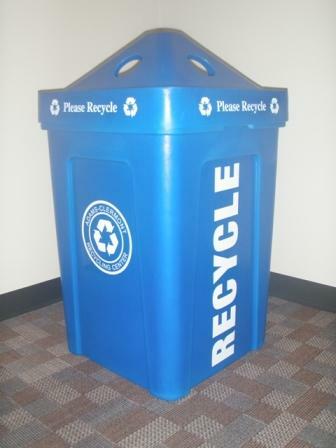 The Adams-Clermont Solid Waste District now has up to 50 recycling containers available for use at events in Adams or Clermont Counties. These containers can be placed next to trash receptacles at events to encourage recycling and reduce the amount of waste generated at your event. The containers are 60 gallons and stackable for easy storage. The lids to the containers have small openings suitable for beverage containers to discourage contamination of recyclables. Container borrowers will be responsible for recycling the collected material; however, there are over 26 recycling drop-off centers located throughout the District which will accept recyclables. Interested event organizers will be required to fill out and sign an agreement, available here. Please contact the District for more information. Map of recycling drop off locations.